After so many years, yes it’s been 19, I can’t believe the direction this culture has gone in. 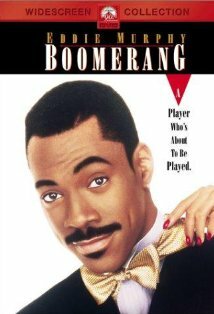 “Boomerang” which came out in 1992 represents a time in Black culture when we seemed more determined to push forward, and break stereotypes and typecasting. A time when Black people wanted to develop a culture that represented our mental and physical progression coming out of the crack era. What happened? How did things get WORST? What happened to a time when we wanted to portray a sense of growth and mental maturity within our lives and relationships, despite what was churning behind the scenes in our everyday lives? Jail Culture ENERGY and the wrong sense of “Keeping it Real” is what happened. It’s beyond my comprehension when I think of how we have allowed negative ENERGY to represent our culture. We have created and supported a “dumb down” culture and despite the accomplishments of many successful Black people, it’s become a ball and chain this race cannot break away from. It “boggles” my mind when I think of how many Black people think they WILL NOT wear the ENERGY of this culture. Sought of like, when Black men think they can simply put on a suit and escape the culture they evidently support, a culture they do not come against. God would not allow this. God would not allow Black people to escape the ENERGY of their actions. Black people often talk about God for convenience, they refuse to access their problems and their ENERGY by thinking about God and this metaphysical world. Why would God allow this race to have and support a culture such as this one without it seemingly extinguishing more positive ENERGY? This results in a stain being on the image of it’s people? Why would God allow this race to send out ambassadors into the world who have more influence, notoriety and recognition without it creating a negative ENERGY towards the Black race? These negative people and ENERGIES are levitated above the average positive Black person, subduing positive ENERGY in the process. Many of the NEGATIVE men in this culture who are in the spotlight have the ability to travel and go to places where the average Black man can’t go. These men bring an ENERGY with them and claim to represent and speak for our communities. They claim to represent the mindset and way of life of Black people. There are times when they perform in front of an all non-Black crowd. While doing this they are very vocal about their mentalities and what they stand behind in life. You cannot shed the ENERGY of what you support; again God wouldn't allow it. You cannot run from ENERGY. NEGATIVE ENERGY and obstacles are designed to make you grow into a higher spiritual vibration. In the early 90’s a time after the “Crack Era”, Black people tried to be more positive. Many positive rappers where out at the time This didn’t make the culture less interesting, but showed that you can be positive, entertaining as well as more broad minded with your lyrics and still be respected. Watching “Boomerang” brought me back to that period. Though I was young I can clearly think about those times and feel a CONTRAST of ENERGY opposed to current times. Now Black people have followed the motto of society that anything goes when it leads to money. "You cannot allow the “simple minded” or those that don’t care to reach a level of success in this culture". It’s easy for the mind not to care, it’s easy to run to the fried chicken and collard greens get fat and escape. But that’s why I sometimes despise being a part of this race. I was born after my time. and I Understand the meaning of focusing and understanding the meaning of “opening floodgates”. Once you create and allow a low standard culture you will not only pay for it, but it will linger and it will be hard to get rid of the negative ENERGIES supported. It will become you. It will penetrate the smallest crevice of your community and be a barrier preventing you from reaching the minds of the youth. Without being dedicated to this race through “lack of support” when it comes to negative ENERGIES, things will never change but only get worst. It’s something Black people should think about when they feel accepted from a distance, but not up close. It is something Black men should think about when they can’t find jobs because the subconscious or conscious mind of the employer does not want to guess whether they are the ENERGY they support. Remember only the idealistic mind expects to be treated as an individual initially. Idealism is comforting but rarely reflects reality, people develop perceptions based on COLLECTIVE ENERGY and rightfully so. You are judged by your culture and environment. 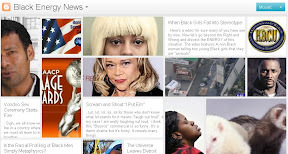 People look at what you support and what you allow when making judgements………………PERIOD.